Pop a toasted marshmallow in my mouth, and that’s that! 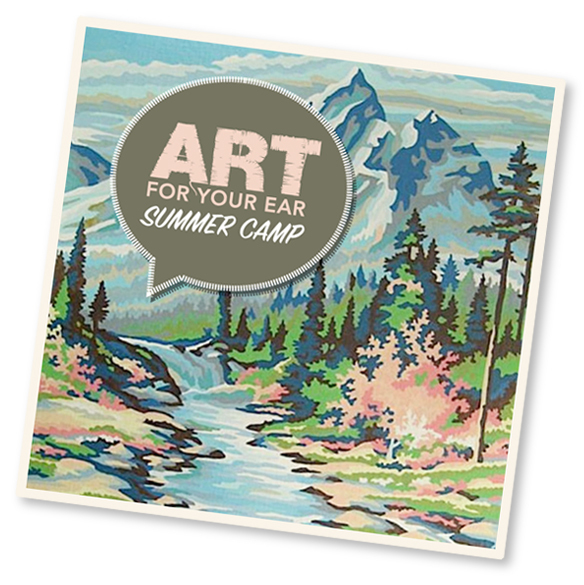 Thanks so much to Saatchi Art for supporting the first day of summer camp, and thanks so much to you for listening! AFYE camp continues next weekend. NOTE: I said Georgia O’Keefe’s “ex-husband” – I’m not sure they were actually divorced? Such fun … looking for a sketchbook so I can *do* this series … thanks! Eek! I’m almost a week late in starting camp!!! What a very inventive and quite whimsical idea for your summer podcasts! It is such a delight to listen to such sweet morsels of artsiness!! Thank you for your cleverness Danielle and full speed ahead with your projects!